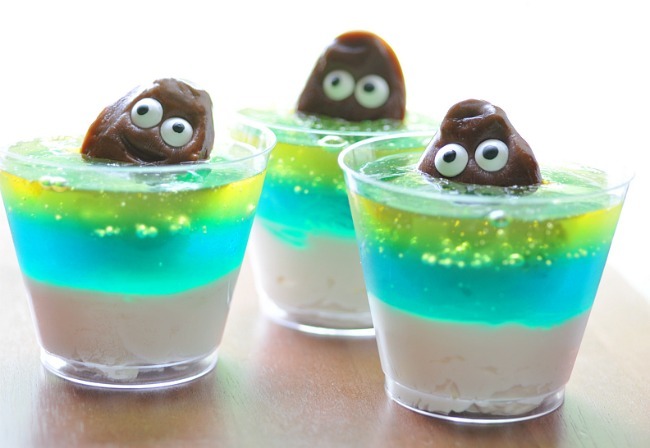 Once they have been seen, you will never be able to un-see and un-feel the many, many feels that will rush through you once you witness the glory of the poop desserts. You can try, but you will not succeed. In our country, where toilets are a luxury in certain areas, where public toilets are scarce, and clean public toilets are a myth, this story might seem ironical. And it is. The irony of eating food that looks like poop is ironical in itself. This is literal toilet humour in dessert shops and restaurants. These are not the dessert pictures you may deserve, but it's what you'll get on World Toilet Day. 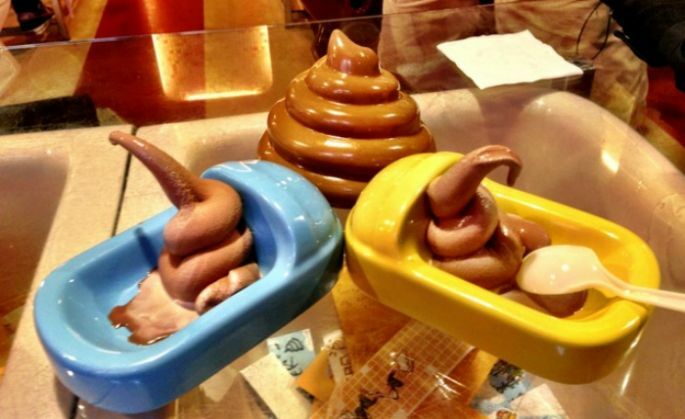 Desserts and poop will never be the same again. A dessert that vomits custard and poops chocolate. Modeled after Gudetama, a character from Hello Kitty, who being an egg, does nothing much but laze around. The dessert looks cute as button until you bite into it. 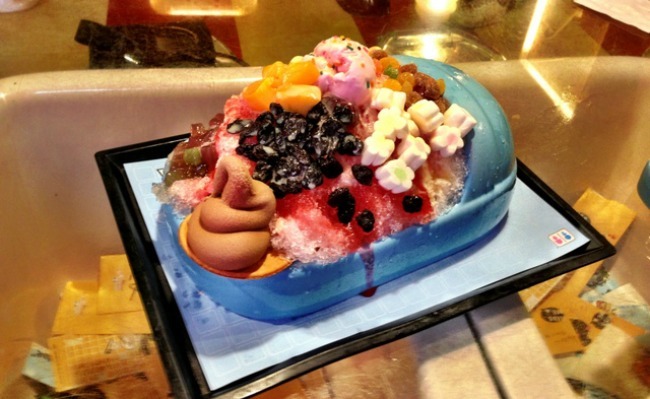 Poop-shaped parfaits are just a cute version of commode-scenery. This poop is cute. This poop has eyes. And this poop swims in a pool of Jell-o. Where can you find this: you can't. You'll have to make it at home. Recipe's available here if you're really interested in baking toilet delicacies. For those of you who live completely ignorant lives and have as yet still not been exposed to Taiwan's Modern Toilet, here goes enlightenment. This is a ice-cream poop diarrhea, with a side order of organised potty. Here's another gem from Modern Toilet. 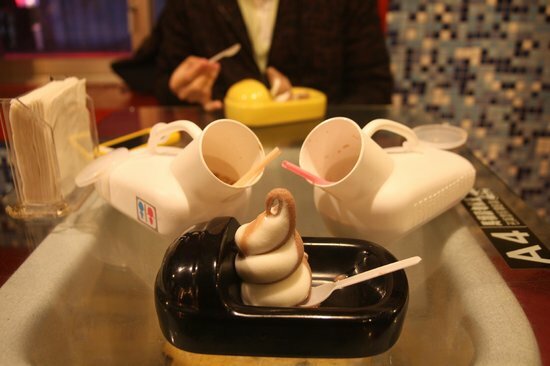 A blob of ice cream placed on a commode with milk in urine bottles, on the sides. Who wouldn't want that? So appetising.Yum. While the love for coffee is eternal, and the love for tea knows no bounds. This. is. not. okay. Technically, this isn't dessert. Sure. But what's happening here? Why must coffee be in a commode? While toilet humour is much appreciated, literal potty humour can be a bit mind-boggling. The Gudetama choco-custard might be a positive 8 on the cute-metre, but the diarrhea sundae look like something hell serves its victims. 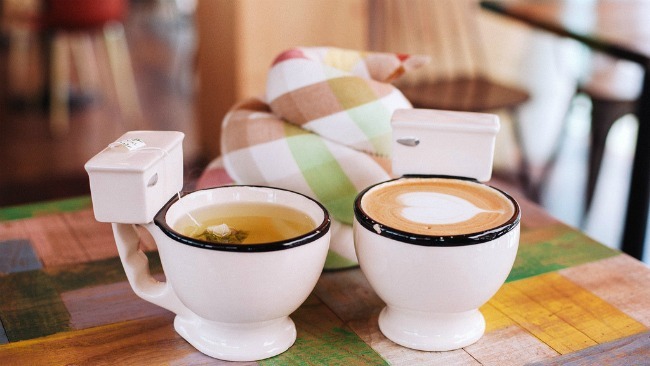 And as far as commode coffees are concerned, that idea's completely potty. Can we go back to cups and plates please?